Call of Duty based gaming clan FaZe Clan has made multiple people millionaires. 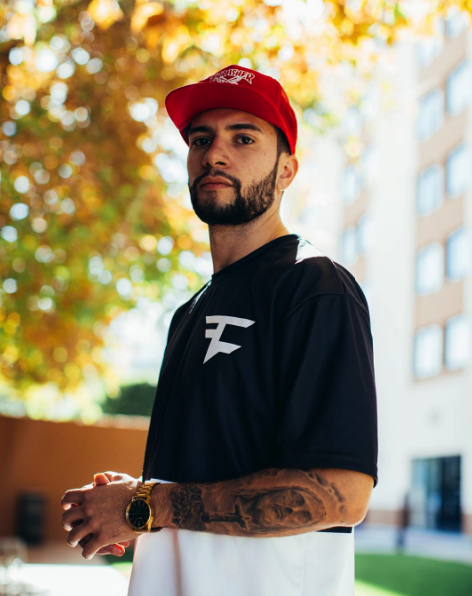 One of the clan’s richest members is none other but the owner himself, FaZe Temperrr. His unique marketing strategies have helped FaZe Clan become one of the most popular gaming and vlogging channels on YouTube. He founded the clan in 2010 solely as a Call of Duty trickshot channel, but his empire has expanded to include many members with their own personal brands. As the CEO and owner of FaZe Clan, FaZe Temperrr has a lot of his shoulders. However, he undoubtedly makes a large salary from his work. Although he is less active in vlogging than other FaZe Clan members, he still has a large a following on YouTube. His personal YouTube channel has 1.5 million subscribers, and the official FaZe Clan YouTube channel that he manages has 4.5 million subscribers. FaZe Temperrr is responsible for managing the clan’s official YouTube channel as well as the clan’s competitive gaming presence. The FaZe Clan makes so much money that their most successful members all live together in a massive three story mansion in Los Angeles. The clan is sponsored by the energy drink G-Fuel, headset manufacturer Turtle Beach, Scuf Gaming, and Gamma Gamers. FaZe Clan and its associated channels have over 50 million subscribers and 6.5 billion total video views! How Did FaZe Temperrr Earn his Money and Wealth? FaZe Temperrr’s real name is Thomas Oliveira. He was born on August 25th, 1993 in Sao Paulo, Brazil. Little is known of FaZe Temperrr’s past and personal life, other than the fact that he moved to the United States a few years after starting FaZe Clan. After first setting his hands on an Xbox controller, he met several other gamers on Call of Duty. 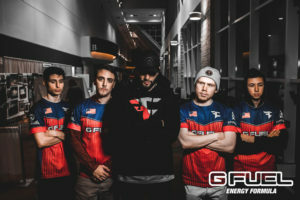 In 2010, FaZe Temperrr founded FaZe Clan with several of his fellow gamers. At first, the clan was created with the intent to produce viral trickshot videos. Members later decided to expand into the competitive scene as well. FaZe Temperrr helped choose members Heist, Holsom, Secretly, and Sham for the clan’s first competitive roster in 2011. In 2012, FaZe Clan created a second roster with players Heist, Maxba2, Replays, and Booze. They started out competing in Black Ops 2 tournaments. The team entered in the MLG Winter Championships and placed 5th, winning a $2,300 prize. The team reorganized again for the UMG Atlanta Championship in 2013. The roster consisted of players Replays, Slacked, SpaceLy and Huhdle. The team made it to the semifinals, but ultimately lost to Complexity Gaming. FaZe clan then competed in the 2013 Four Team MLG Fall Invitational, but lost in the first round. After the release of Call of Duty: Advanced Warfare in 2014, FaZe Temperrr and FaZe Clan changed up their roster once more. They recovered from their previous loss at MLG Columbus, winning two best of five series for a prize of $10,000. In 2016, FaZe clan expanded to CS:GO and Overwatch. 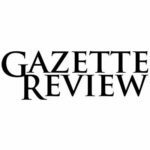 During this time, many of their social media personalities began to take off as well, releasing popular vlogs and videos. This allowed many individual members of the clan to establish their own personal brands, resulting in a massive cashflow. Income from YouTube, Instagram, ad revenue, sponsors, and merchandise sales made many members of FaZe Clan millionaires. FaZe Clan’s CSGO team was wildly successful. The team broke into the scene after placing 9-12 at the MLG Major Championship in Columbus. FaZe Clan later placed 9-12 again at ESL One Cologne in 2016. Their most groundbreaking victory came on October 13th, 2017 after they beat Astralis at ELeague Premier 2017. The team took home $500,000 for their victory, by far the clan’s largest cash prize ever. 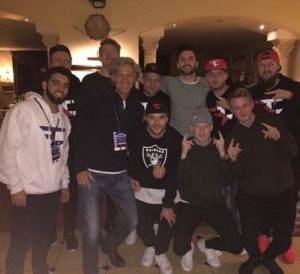 FaZe Temperrr and other clan members celebrated on social media after the win. FaZe Temperrr prefers to keep most details about his personal life private. He instead prefers to manage his clan’s operation from behind the curtain, appearing when he pleases. Despite being a dedicated gamer, FaZe Temperrr does not fit the bill of a stereotypical gamer. When he is not managing his team, he is usually playing sports or travelling in the outdoors. FaZe Temperrr enjoys martial arts, basketball, skateboarding, paintball, hockey, and nearly everything relating to sports and exercise. In 2015, FaZe Temperrr and several other core members including FaZe Apex, FaZe Blaze, and FaZe Rain moved into a modest multi-bedroom house in New York. The home served as their base of operations, and helped them unify their clan while they expanded their brand. Although the home had adequate space, it quickly grew cramped with some many clan members. Thanks to a burst in popularity, FaZe Temperrr and the clan were able to upgrade. In December 2016, the clan moved into a luxurious mansion in a high-end district of Los Angeles. The next year in June 2017, some FaZe clan members and several other YouTube vloggers moved into the Clout House. The $14,000,000 home is owned by FaZe Banks. He lives there with girlfriend and vlogger Alissa Violet and his best friend RiceGum. The rent for the three story mansion is estimated at $30,000 per month. The whopping three story 16,0000 square foot mansion has 10 bedrooms, 18 bathrooms, a gym, a pool, a theatre, and a scenic rooftop deck. In 2012, FaZe Temperrr purchased a BMW i3. Although some of his clanmates have purchased even more luxurious vehicles, he has not yet decided to do the same. However, Temperrr has entertained the idea of a buying Lamborghini before on social media. Given that he is one of the richest members of the clan, he could easily afford more than one such supercar!